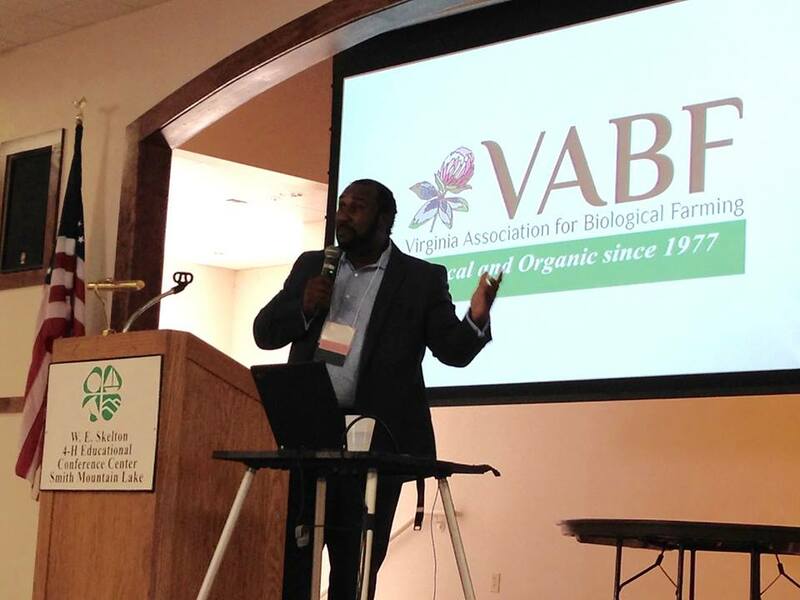 Last weekend I got to attend my first Virginia Biological Farming Conference, not just as a participant, but as part of the team making it happen, the Tradeshow Coordinator. 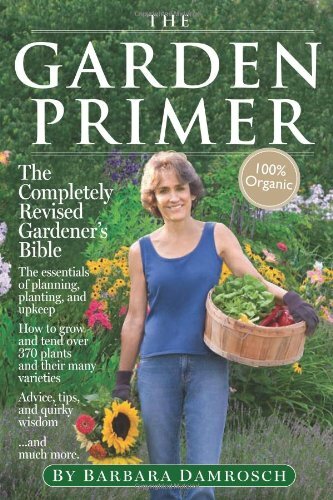 If you have any interest in organic farming/gardening, I highly recommend going next year. There were fascinating talks on a wide range of topics, great exhibits from a variety of vendors and organizations, and the food was unbelievable. Southern Exposure teamed up with Seed Savers Exchange for an all day special seed saving pre-conference workshop. I had to duck in and out while setting up for the exhibits, but I still learned so much! Nazirakh Amen of Purple Mountain Organics gave a talk about his rice farming project on University of DC land. In addition to being a farmer and tool vendor, Nazirakh is a Chinese medical practitioner with extraordinary insights to impart. 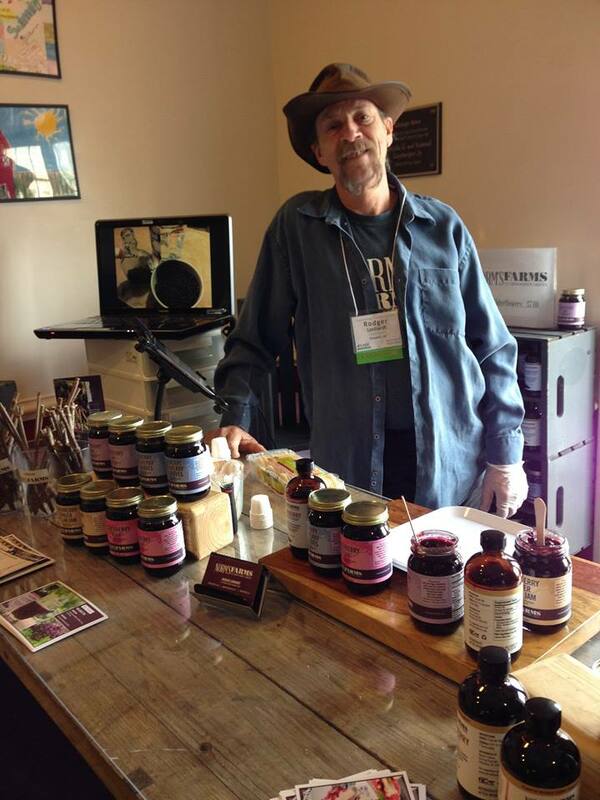 Rodger Lenhardt of Norm’s Farms brought his fabulous elderberry products. He traded us some syrup (great against coughs and as an immune-booster) and jam, and I now have three little elderberry sticks on my windowsill happily sprouting roots. Debbie Roos of the NC Cooperative Extension got me all fired up about pollinators and what we can do to attract and protect them. Look for pollinator blog posts soon! Did I mention the food? The food alone was worth going to this conference for. 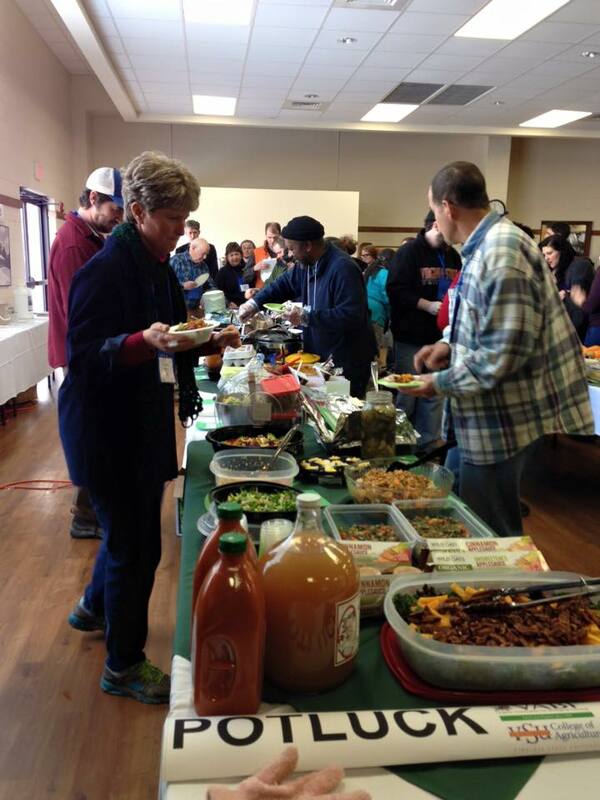 There were contributions from local farms at every meal, but best of all was the giant pot luck lunch. Let’s just say I regretted that I was wearing a corset. 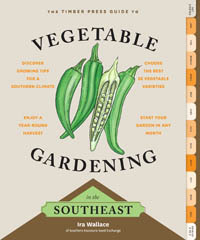 At Southern Exposure we carry a lot of tomatoes — 110 as of this year’s catalog! We carry ones that we like and that grow well. It’s always gratifying to see varieties that we’ve helped introduce, such as Cherokee Purple, OTV Brandywine, and Amy’s Apricot, go on to sell well and find their way to many other gardens. But there are also some personal favorites of ours that never get as much appreciation as we’d like; this blog post spotlights a couple of them. Green Grape is a cherry tomato that never gets as much attention as its more famous cousin, Green Zebra. I’ve got more of a sweet tooth, so when it comes to tomatoes, one like Green Zebra is a bit too tart for me to really enjoy. Green Grape is a sweeter variety and has an interesting flavor that’s described as being like muscatel. (I don’t drink alcohol, so one of these days I’ll have to get around to sipping some muscatel to see if it reminds me of Green Grape!) It’s got big, plump cherry fruits that ripen from green to green-yellow. Since that’s an unusual color it’s hard to know when they’re ripe. 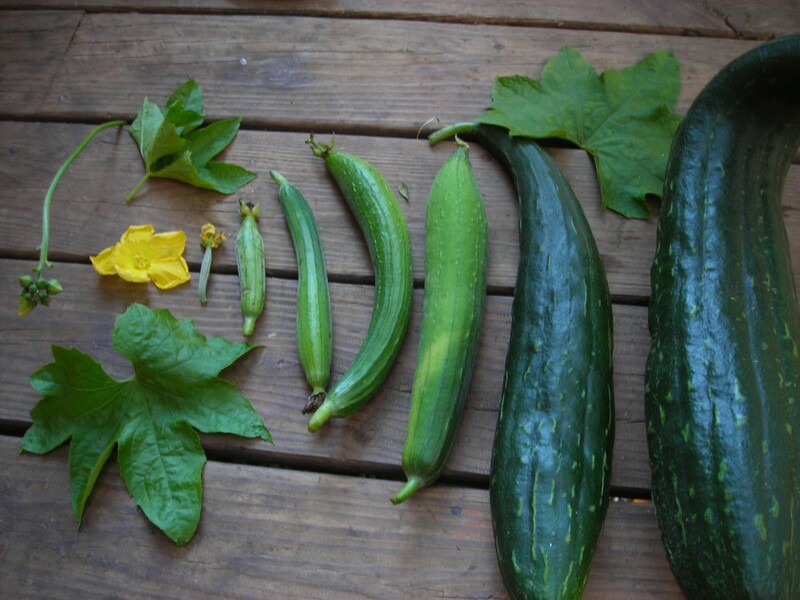 To figure out when they’re ready to eat, feel the first fruits as they ripen. When they’re softening and plumping up, try a few. Once you’ve figured it out, you’re good to go for the rest of the season. Folks often think Green Grape and Green Zebra are heirlooms because of their unusual color, but both of these are more recent; they were bred by Tom Wagner in the ’80s. Tom is a passionate tomato breeder, and continues to this day working on all kinds of unusual new varieties. Besides being great for eating fresh, a great way to serve these is to serve sliced fruits with pesto pasta. 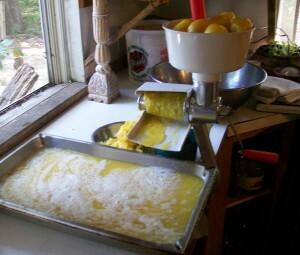 Yellow Bell is a Tennessee family heirloom. It’s a sauce tomato — more juicy than a Roma tomato, so it needs more cooking to get a thick sauce. But its juiciness means it has great flavor as a slicing tomato as well. I first grew Yellow Bell when I was in southern Missouri, and was always super impressed with how well the plants held up. By late September when most other tomatoes had given up, Yellow Bell was still chugging along — all the way up ‘til frost I’d be getting big handfuls of fruit off the plants. 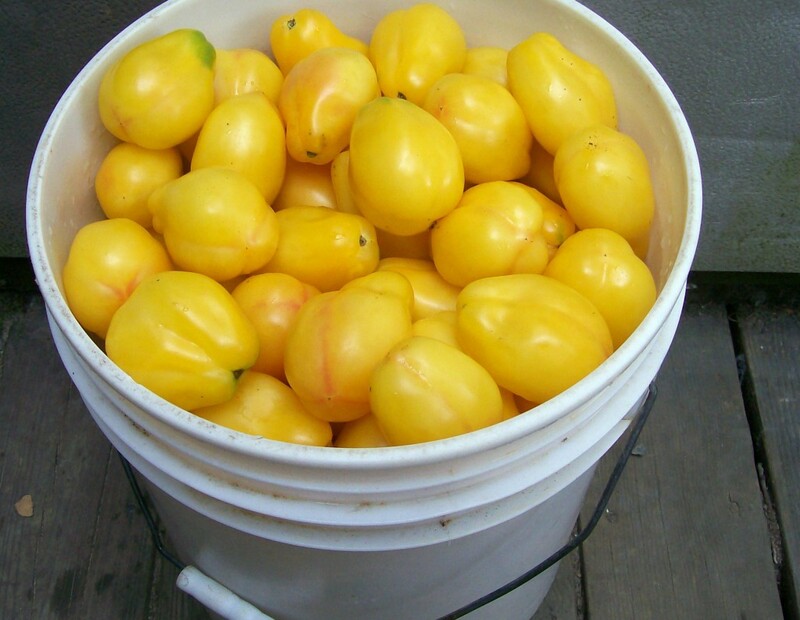 Yellow tomatoes like Yellow Bell make for really pretty salsa – wish we had a photo handy I could show off here! – and yellow tomato sauce with chunks of green and red pepper is gorgeous as well! 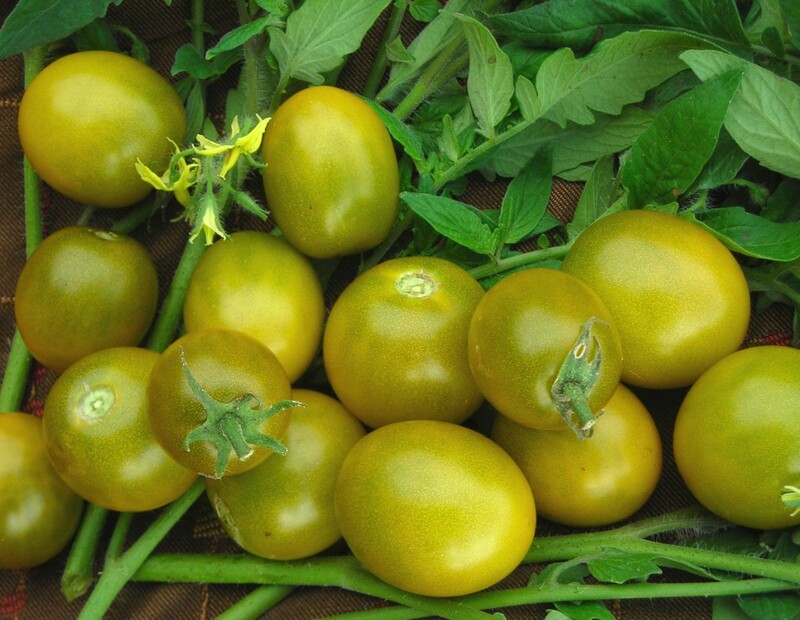 And to end this on a humorous note – a woman from southwest Virginia recently sent us seed for a tomato that sounds similar to Yellow Bell, but which their family called Bag tomato. As she wrote, her mother-in-law “called it Bag tomato because its shape reminded her of a man’s scrotum. (No vulgarity intended. )” We really liked her mother-in-law’s reassurance! We haven’t had the chance yet, but hope to soon grow out both Bag and Yellow Bell next to each other to see if they’re similar.